Sanjay Dutt and Sushmita Sen have been two of the most promising actors in Bollywood. The actors were snapped at the Mumbai airport on October 30, 2017. 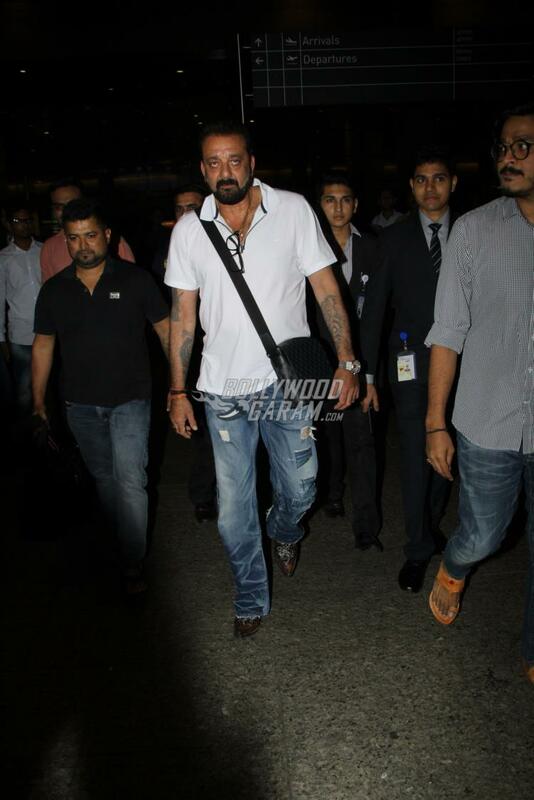 Sanjay, who recently made a comeback to movies with the film Bhoomi, was snapped at the airport in a casual white t-shirt and blue denims. Sushmita, might not be active in the film industry, but is often snapped socializing at public and private events. The actress looked pretty in a black t-shirt, denims and a long red jacket. Sushmita was all smiles for the cameras as she was clicked at the airport. Sanjay was recently in news, when he received a notice from the state of Uttar Pradesh for a remark he made on politician Mayawati, saying that he would like to give a Jaadu Ki Jhappi to her. Jaadu Ki Jhappi was a famous dialogue from the film Munna Bhai MBBS. After Bhoomi, the actor is expected to do a cameo for his upcoming biopic directed by Rajkumar Hirani. 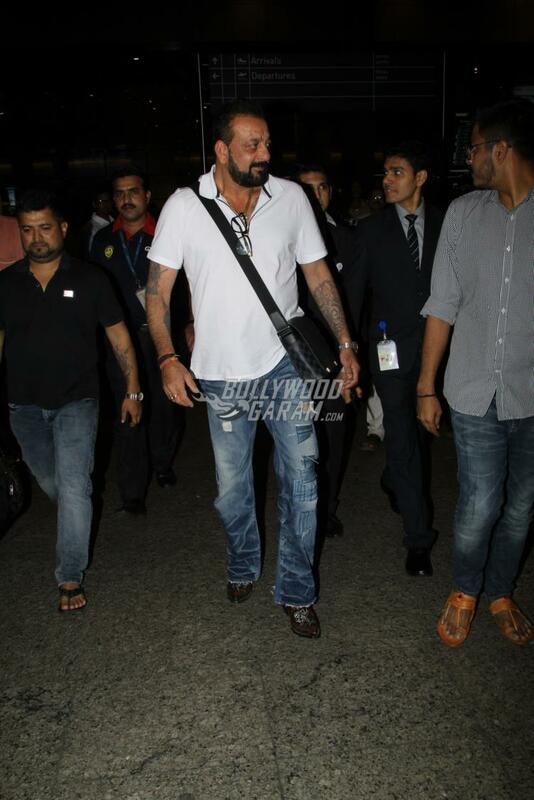 Exclusive photos of Sanjay Dutt and Sushmita Sen at the airport!